Identifying a potentially great Centre-Of-Influence (COI) for your professional services business is not something that should be left to chance. 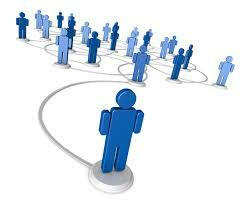 Nor should the process of building the relationship to the point where it generates ongoing opportunities. Yet, all too often “leaving it to chance” is pretty much what professionals do. Typically they meet someone who is in a position of some authority or influence, or who has a stellar CV and job title, and the professional and potential COI hit it off well enough at the first chat. Perhaps at a business networking event, or a social gathering, or when introduced via a peer on some joint case the 2 meet, and get on well. The professional recognises that this new person is potentially a great COI and makes a mental note to follow up and build the relationship. A coffee or two later, probably with a fairly unstructured approach, and the potential relationship is already starting to drift…the COI who can introduce new opportunities begins to slip away…..and the professional wonders why it all went wrong. If we know that the lifetime value of a client is some very significant number indeed that has probably 4 zero’s in it, then what is the potential lifetime value of the COI? 5 zero’s? 6 zero’s? WHY would we allow something which may be worth hundreds of thousands of dollars to our business to be handled in an ambivalent and footloose manner? The answer is we wouldn’t – ordinarily. I believe that like every other investment of time, energy and money that we can make in our business, the investment of those assets into grooming the right COI’s needs to be done thoughtfully and deliberately. Deliberately. That is the key word here. Often they are simply not relevant for our business. That sounds harsh perhaps, however their relevance is measured in terms of whether their professional positioning is complementary to ours. Do their professional skills overlap, or co-exist in a complementary way and most importantly, are they working with the type of clients that we want as our ideal type of clients? That is what really matters if the COI relationship is to be the right fit. To be blunt, if we are aiming to build a business serving the needs of retired astronauts and the potential new COI does all of their work with scrap metal yard owners, then their sphere of influence is irrelevant to us. It may be possible I suppose that the retired astronauts have a little sideline gig selling off NASA’s scrap…but that is a bit of a long shot in reality. We need to be deliberate in terms of who we target and groom to grow with, because our time, energy and money is limited. So too is the number of fabulous, deep and long term business relationships of high trust that we can maintain before we create conflicts with or for our COI’s. If there are such constraints, then it follows that we must limit the number of COI’s we try to grow and maintain, and we must be careful about which ones we invest those limited assets into. There are 10 essential things that a professional has to get right if they are to make a small handful of ideal COI’s become the cornerstone of future business opportunities. Some of these things are not exactly rocket-science either, and despite appearing to be no-brainers they are frequently where the effort to grow the relationships fail. 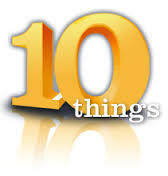 I am sure that this will seem simplistic to many, and without doubt some of the 10 things to do are simple enough. The difficulty is in getting all 10 things done all the time, and making sure they all keep being done with every client referred by every COI. Get this right though, after you have deliberately targeted your efforts to groom the COI’s who meet the 4 key considerations, and you will build a network of high trust relationships delivering new business opportunities with the right sort of clients to you regularly. That has to be worth making an effort for, doesn’t it? About 32 minutes ago from Tony Vidler's Twitter via Hootsuite Inc.